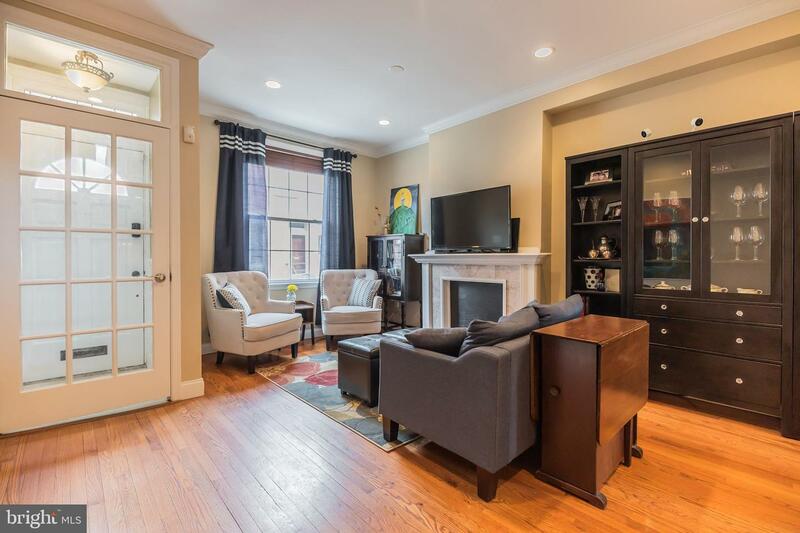 Welcome to 842 N. Taylor St! 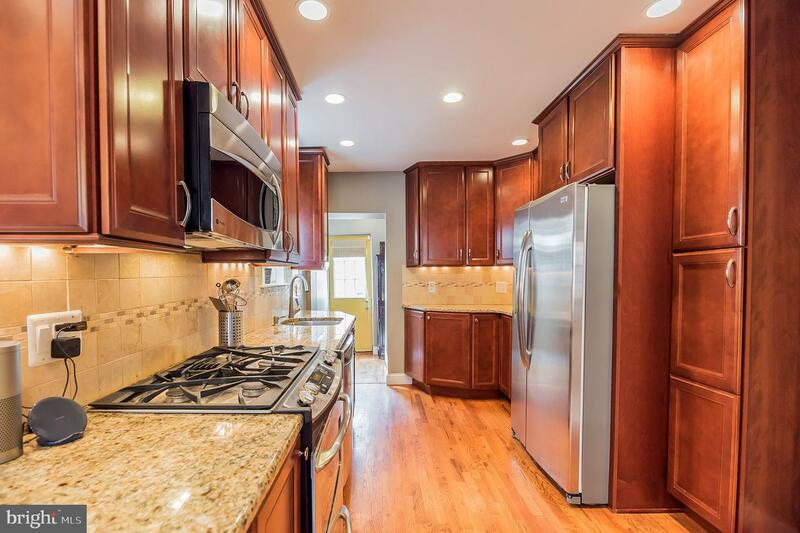 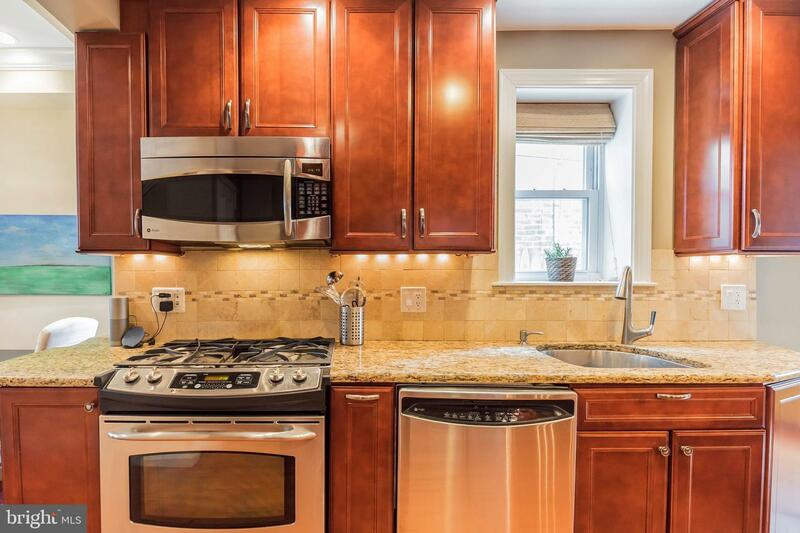 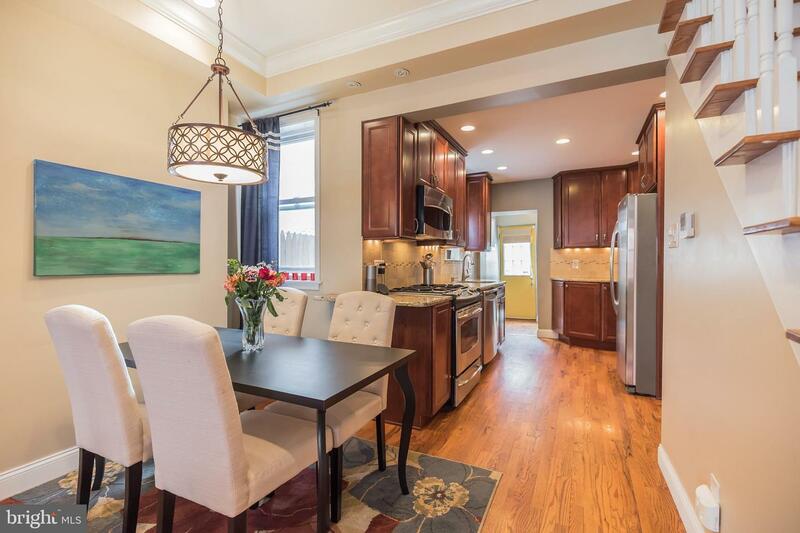 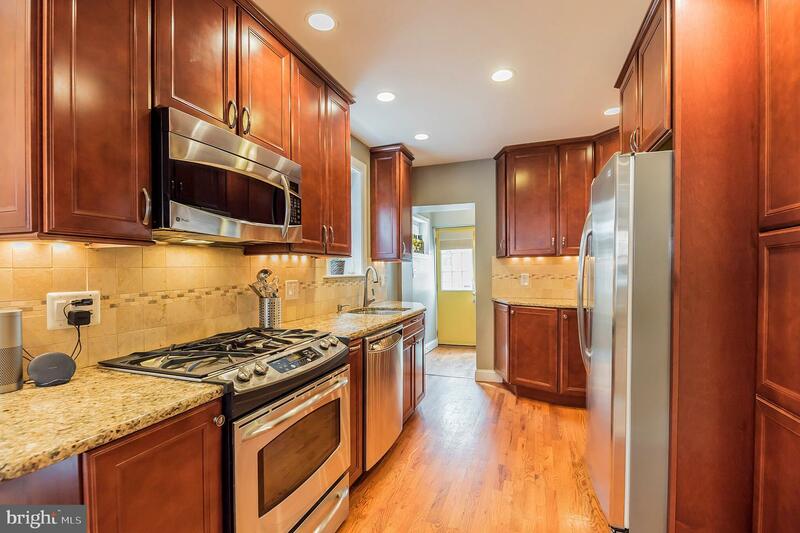 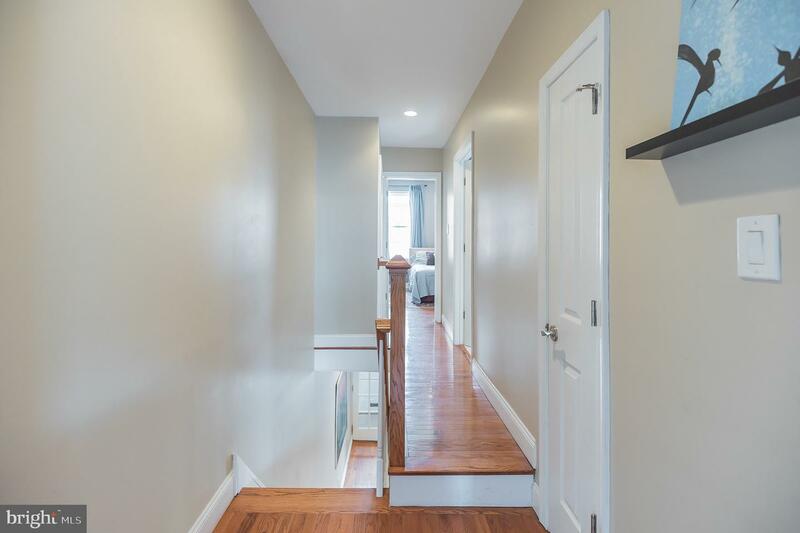 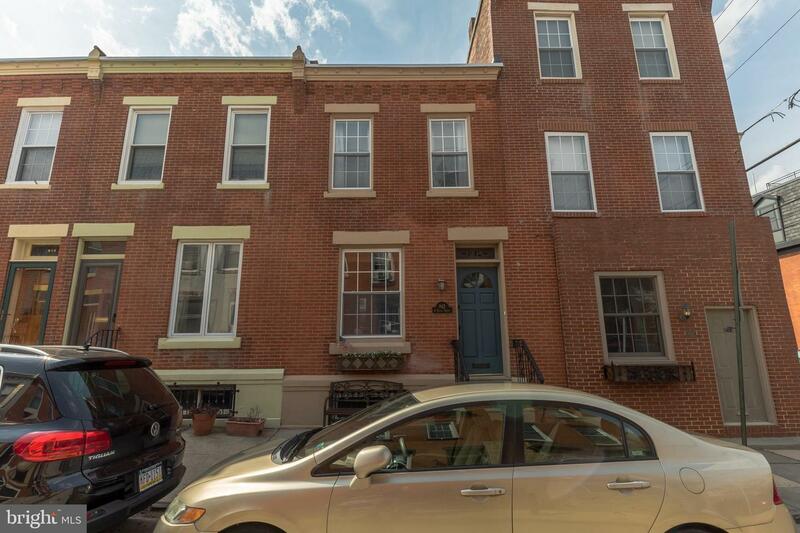 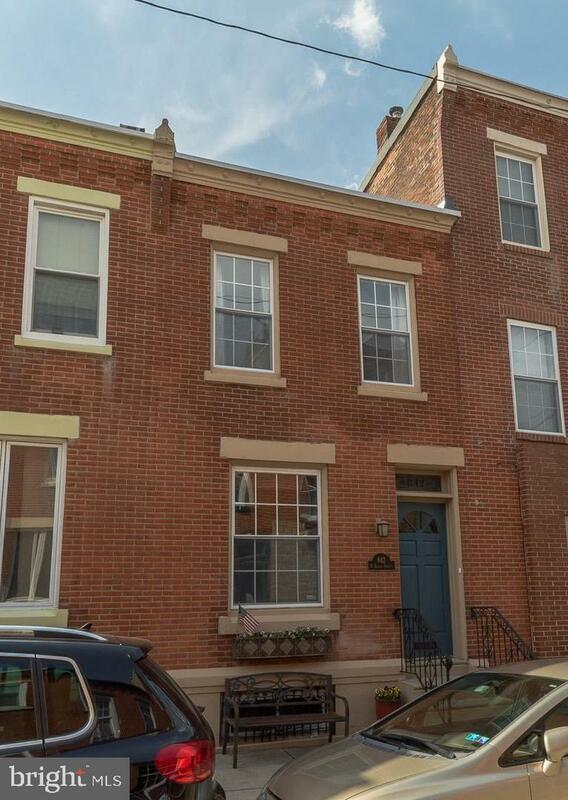 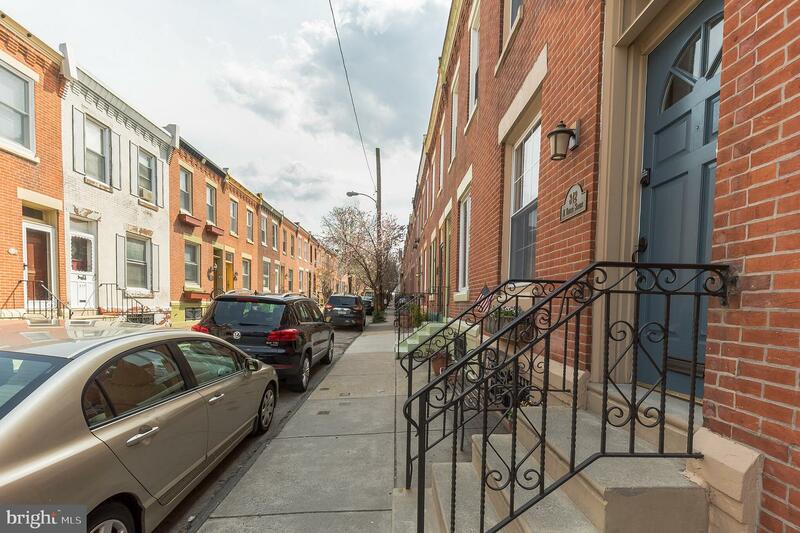 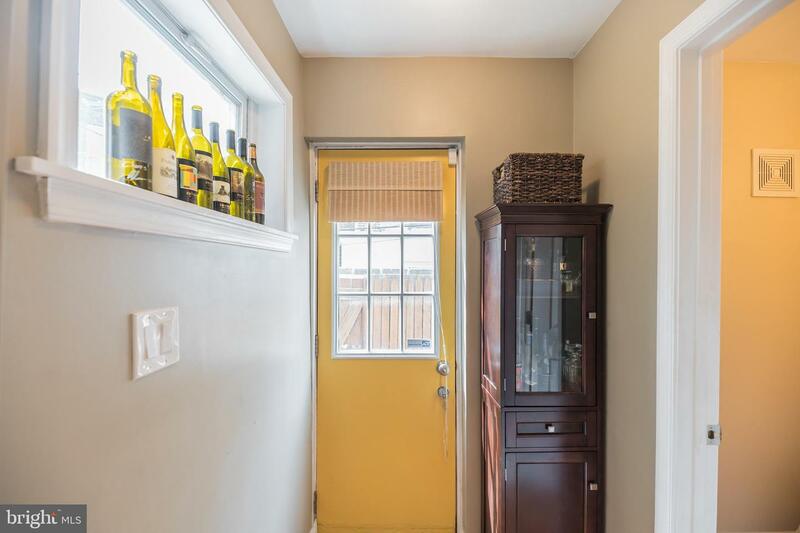 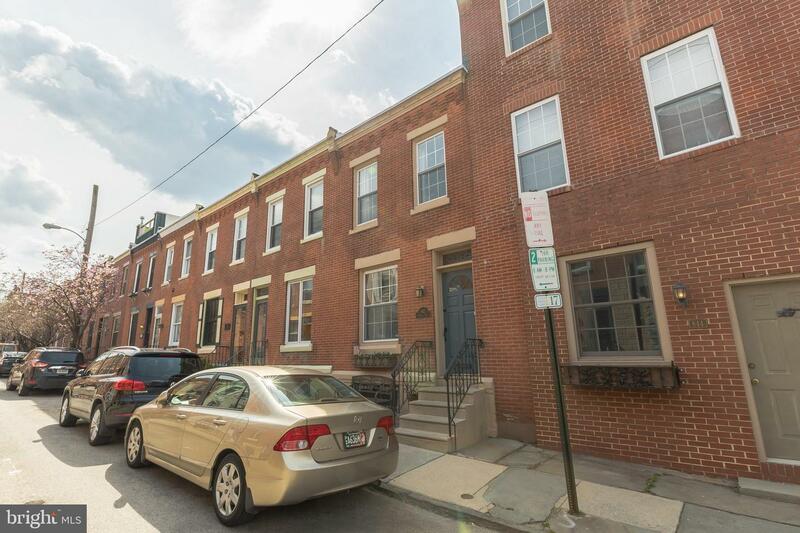 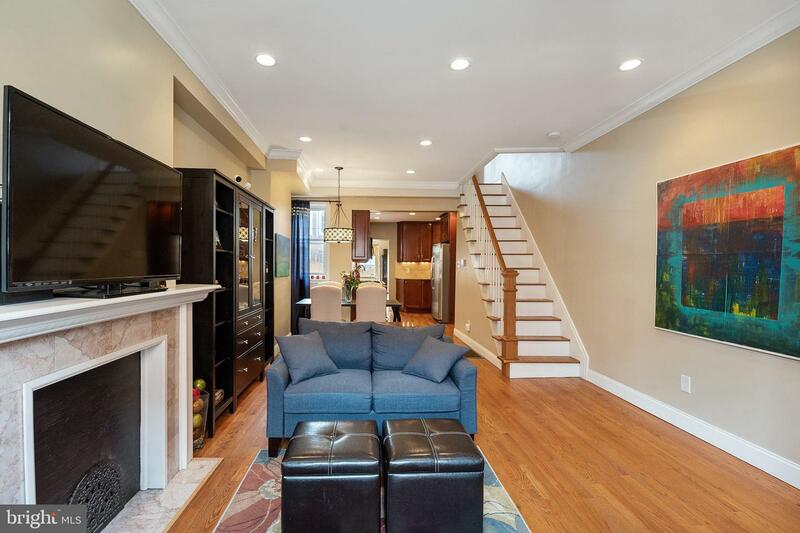 Located on a picturesque street in the heart of Fairmount, this 2 bedroom, 1.5 bath townhome is full of character and was totally renovated in 2009. 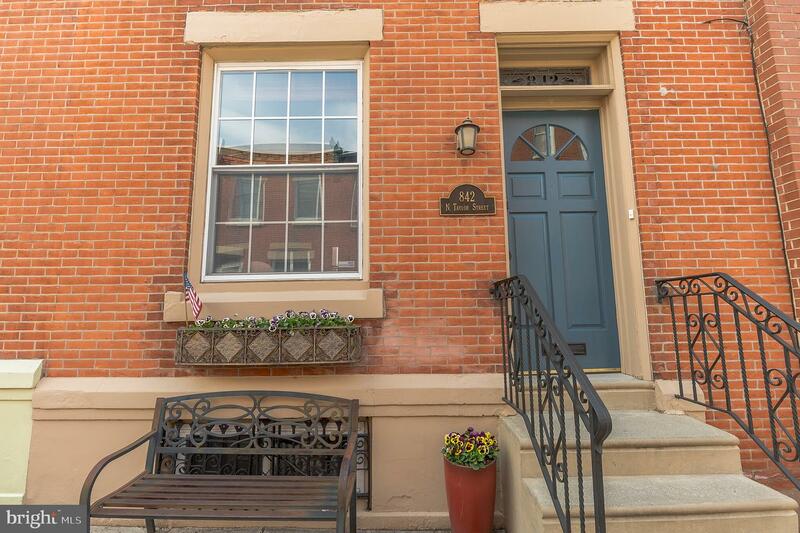 From the gorgeous tree-lined street you will notice the handsome brick fa~ade and attractive entranceway with stained-glass transom above. 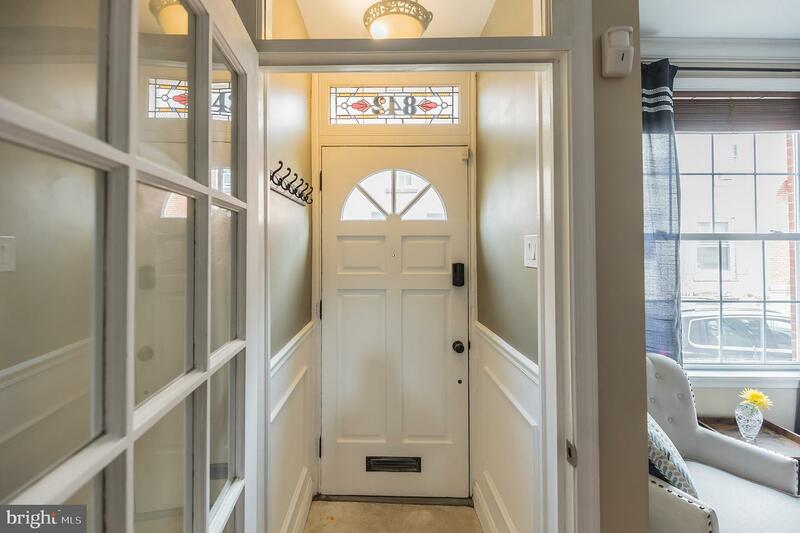 Enter through a convenient and lovely vestibule with a 15-panel glass door and second transom, which provides abundant natural light. 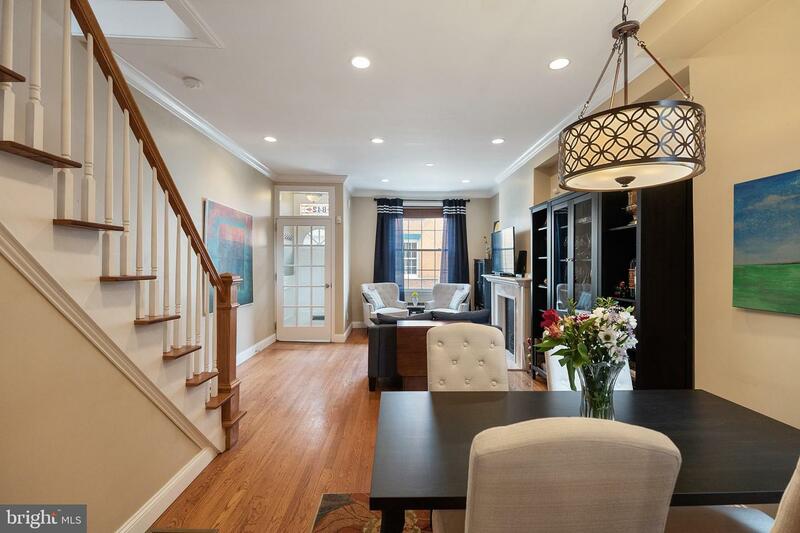 The open living room and dining room area features hardwood flooring, high ceilings, recessed lighting and crown molding. 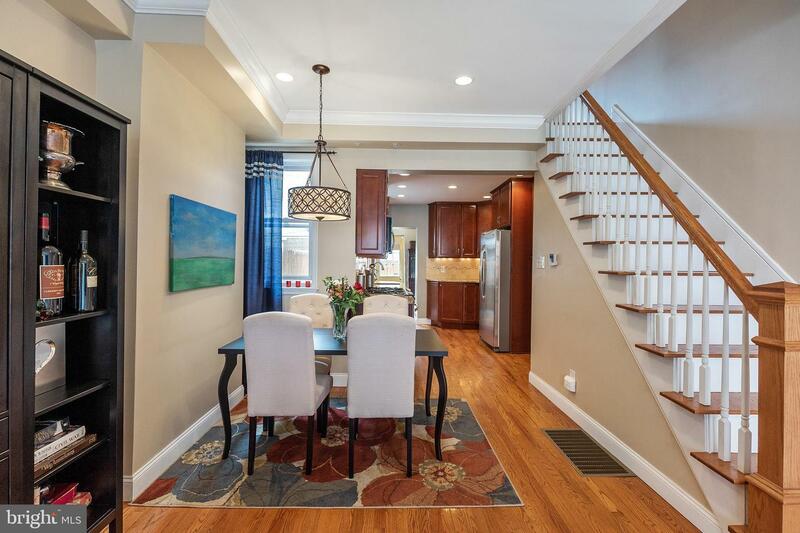 The living room has an attractive mantel and the dining room is complete with a chandelier. 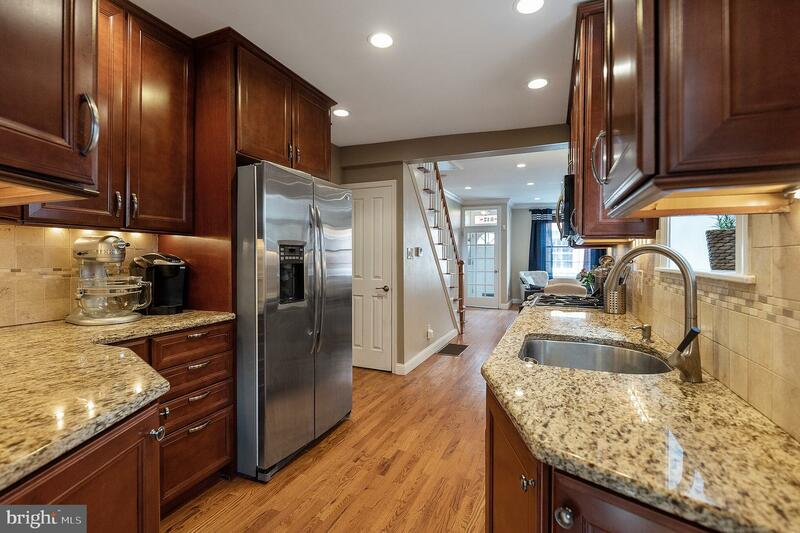 The upgraded custom kitchen features 42-inch cabinetry, granite countertops with tile backsplash, abundant storage and countertop space, plus upgraded GE Profile stainless steel appliances. 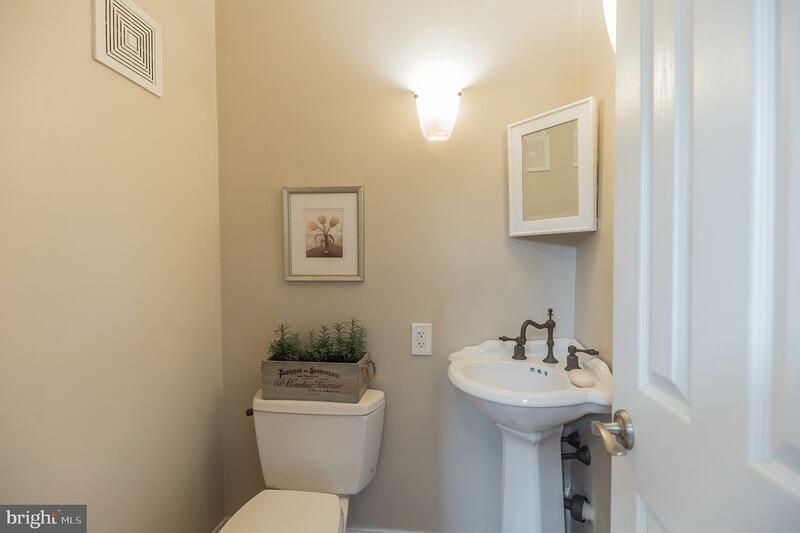 Beyond the kitchen is a convenient powder room with a charming corner sink. 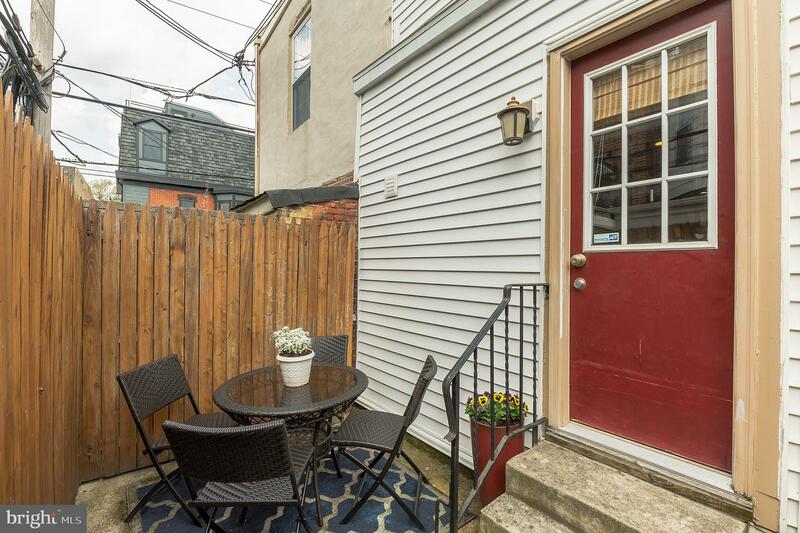 A paved yard is located out back for al fresco dining and container gardening. 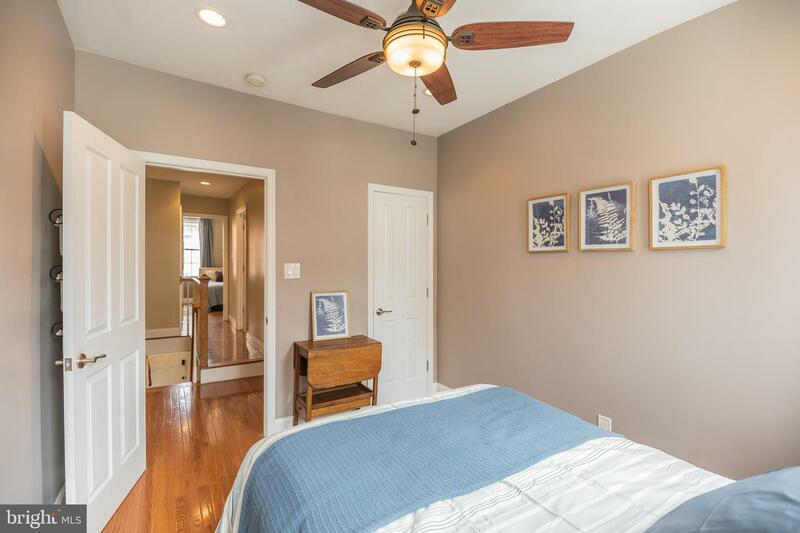 Upstairs there are two spacious bedrooms. 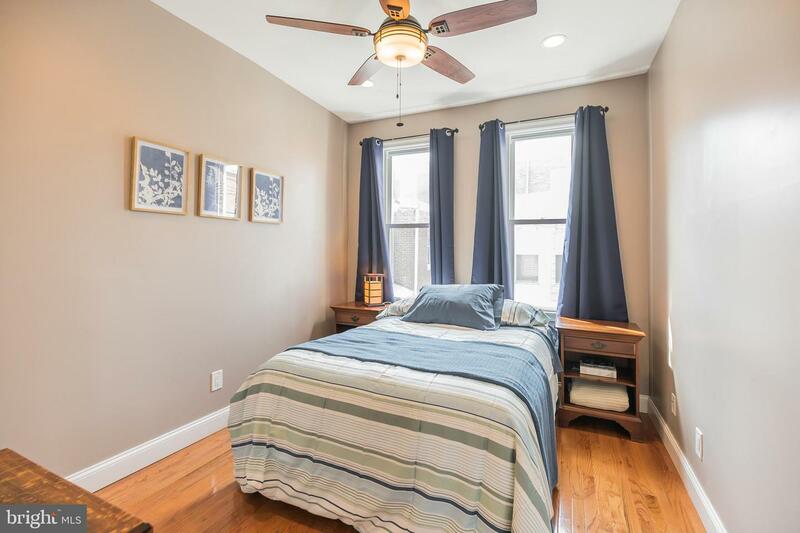 The back bedroom gets western sunlight and has a closet, recessed lighting and a ceiling fan. 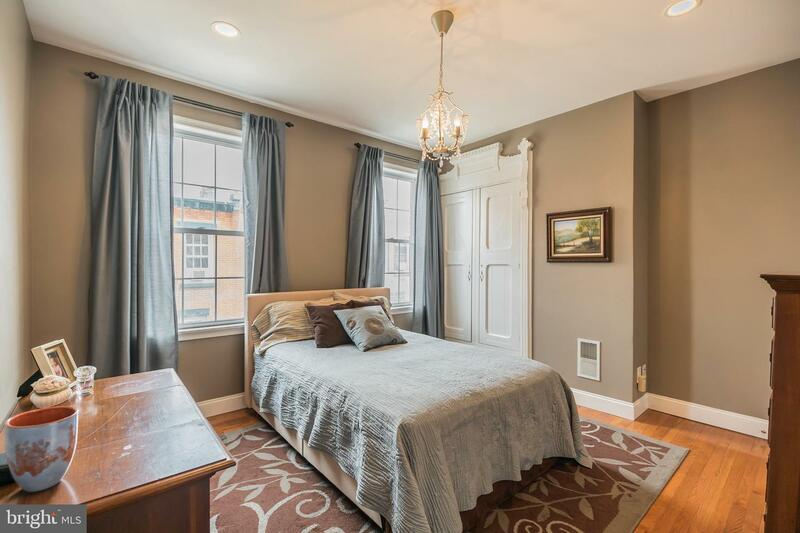 The large front bedroom has two big windows facing east, a built-in armoire with ample storage, recessed lighting, a chandelier and closets. 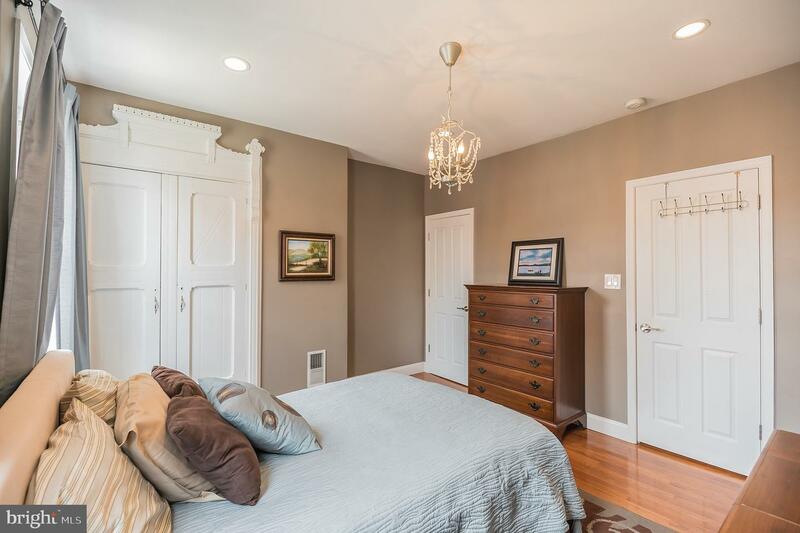 This level also has a hall closet with double rods and a linen closet outside the bright 4-piece bathroom. 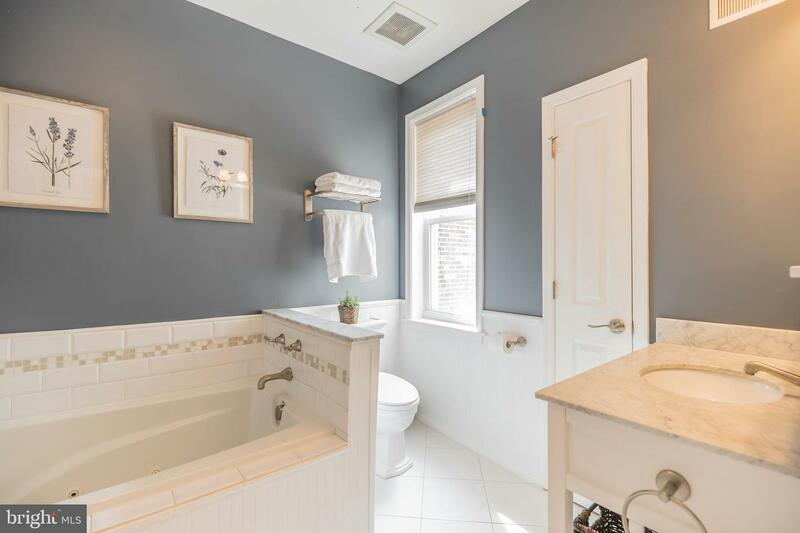 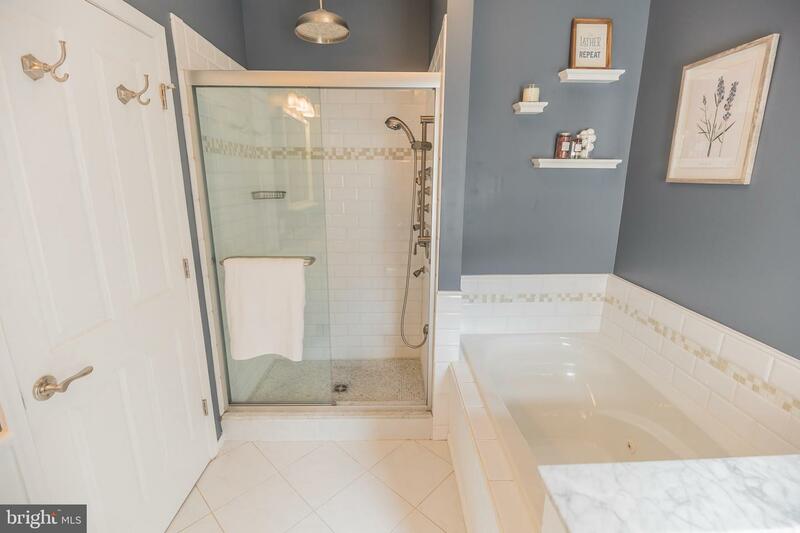 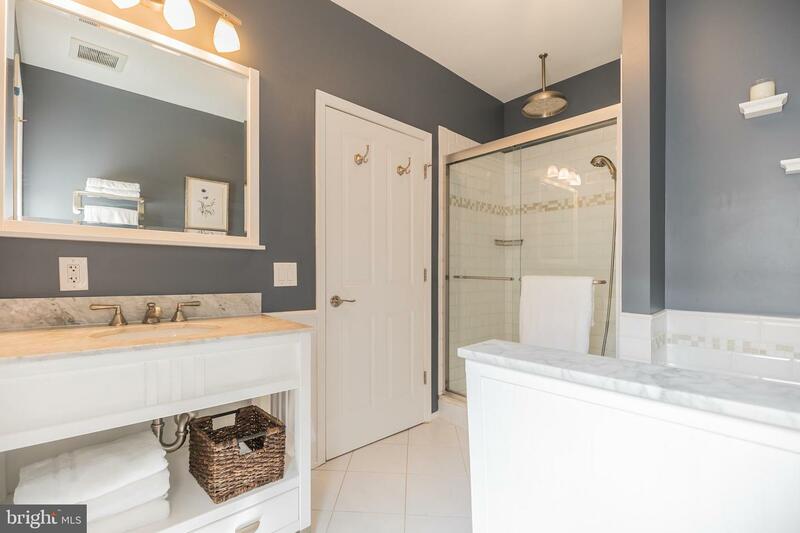 This full bath has white subway tile, Carrera marble accents, an oversized vanity, whirlpool tub, a west-facing window, and a large stall shower with rainfall shower head and body sprays. 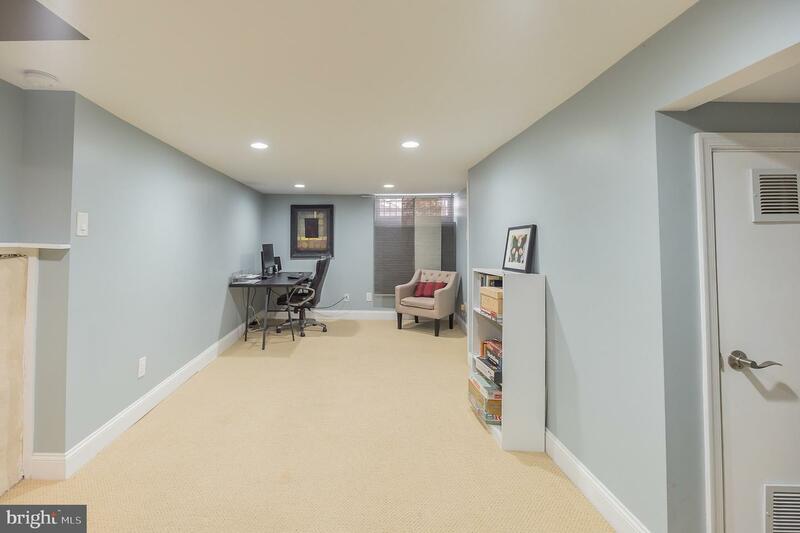 The lower level is finished and provides a spacious extra den/office/playroom area along with plenty of storage in the unfinished portion. 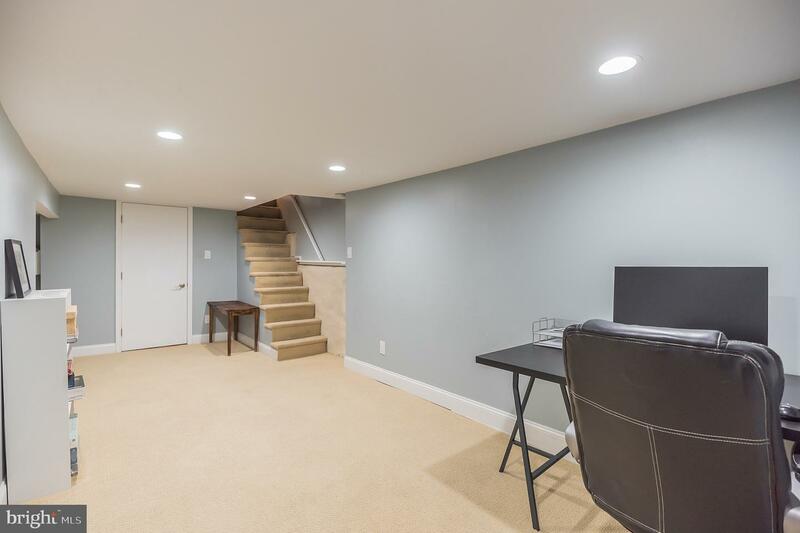 The washer and dryer are also located in the lower level. 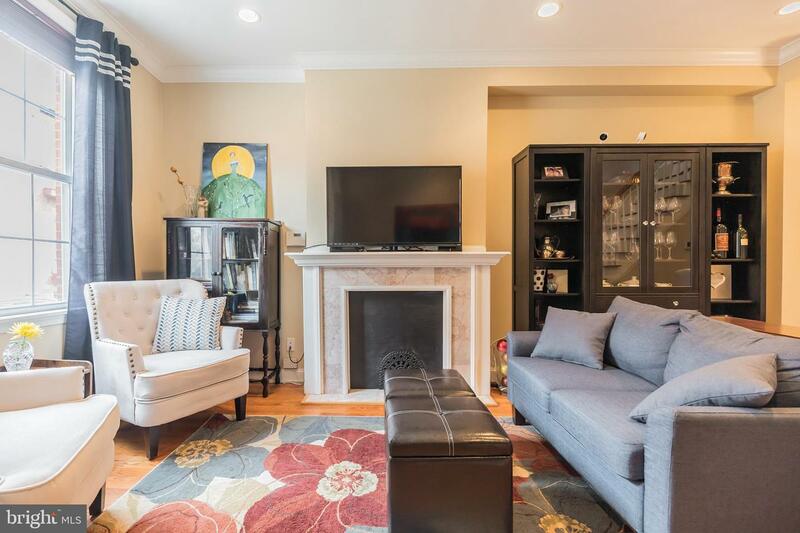 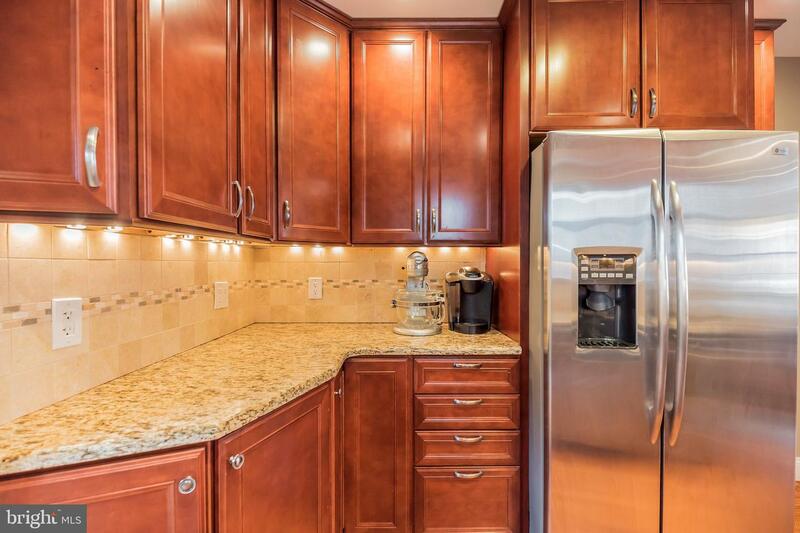 This fabulous townhome has a 91 Walkscore and is located within a short stroll to Lucky Goat Coffee House, Figs, Whole Foods Market, Boathouse Row and Fairmount Park.